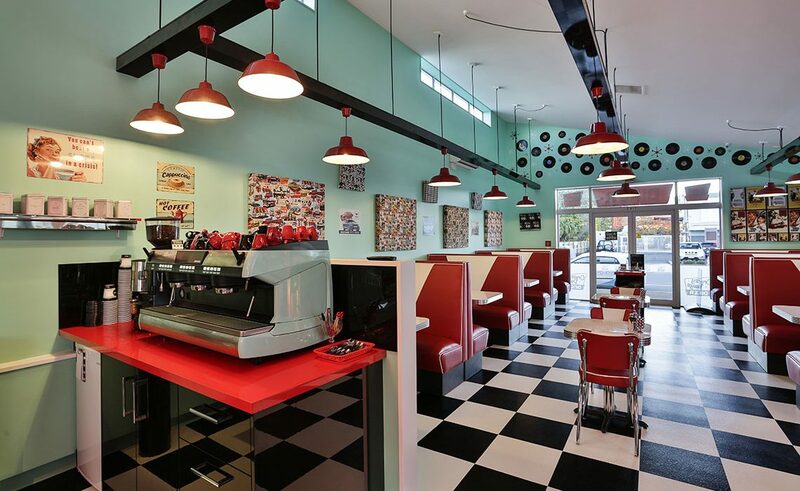 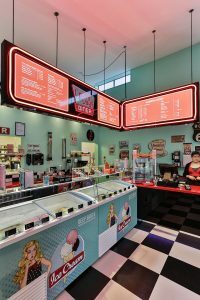 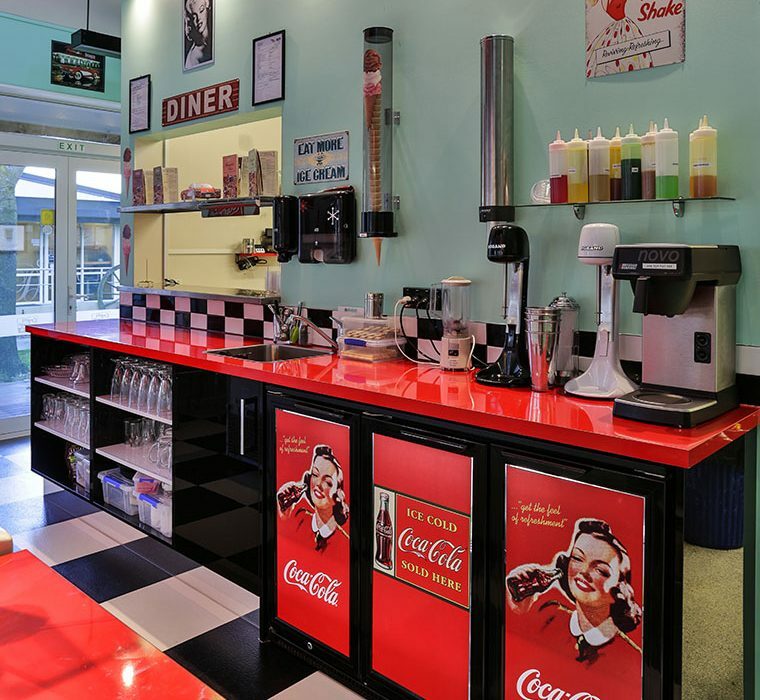 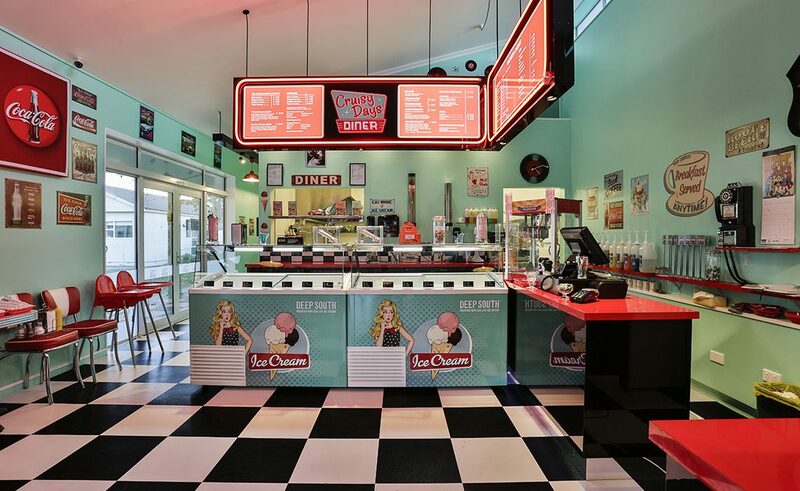 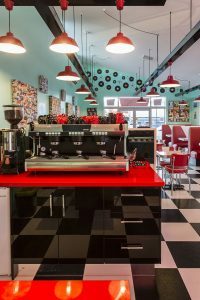 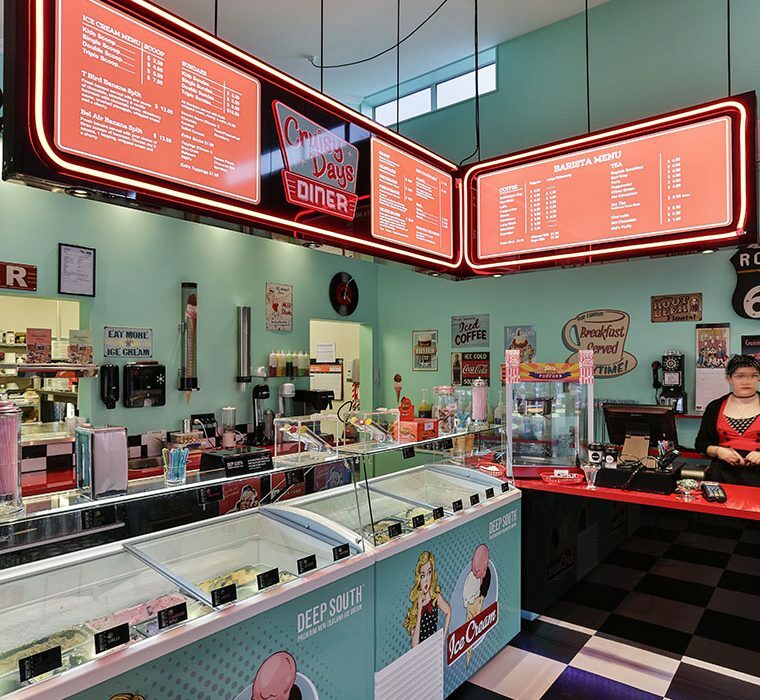 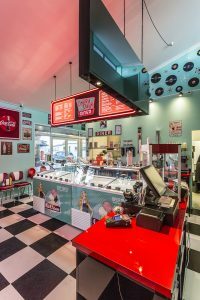 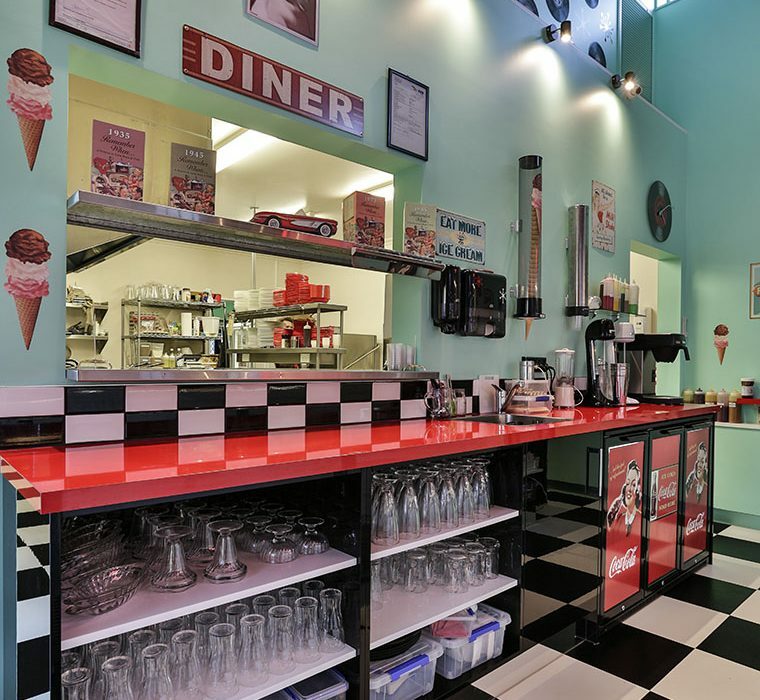 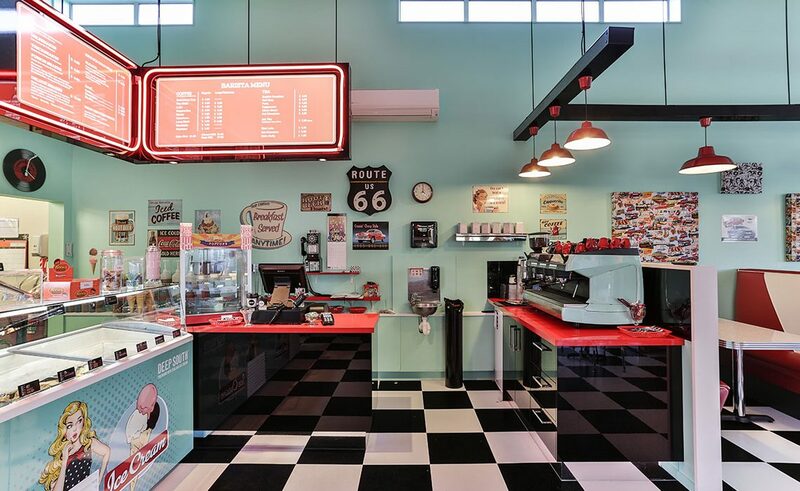 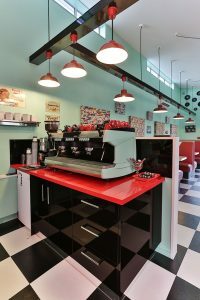 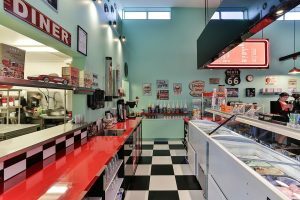 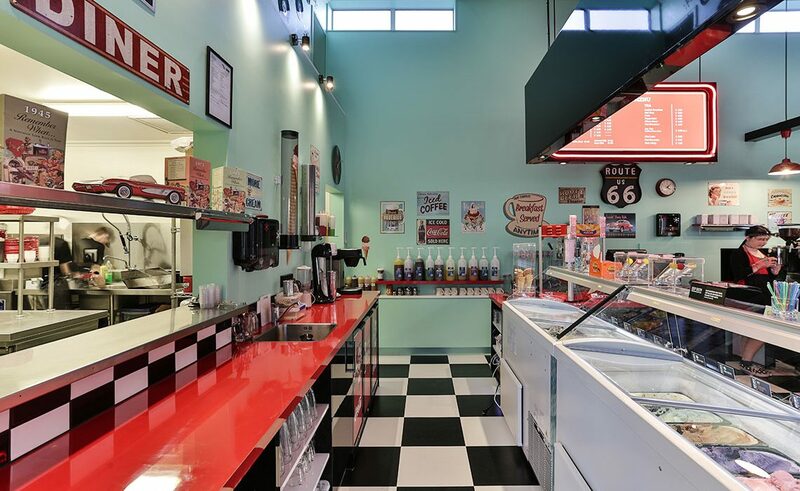 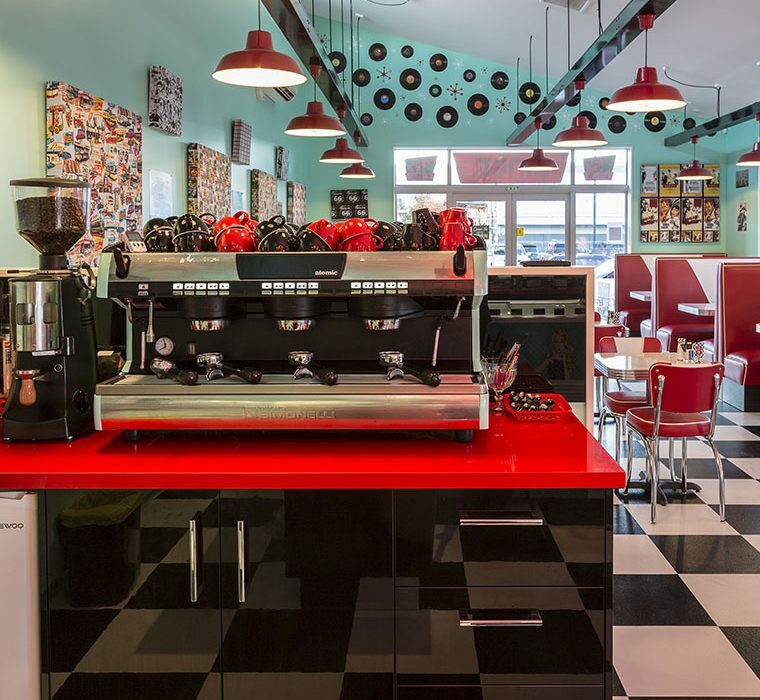 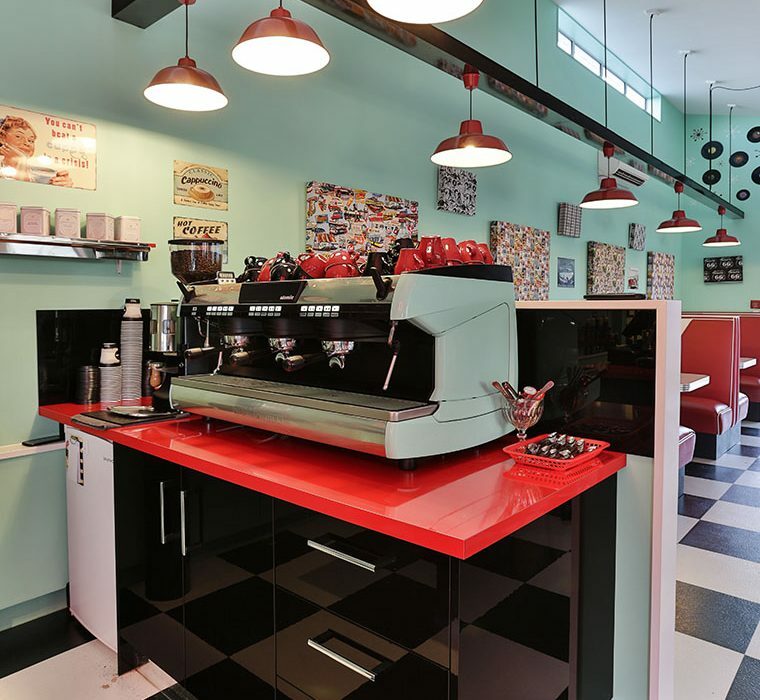 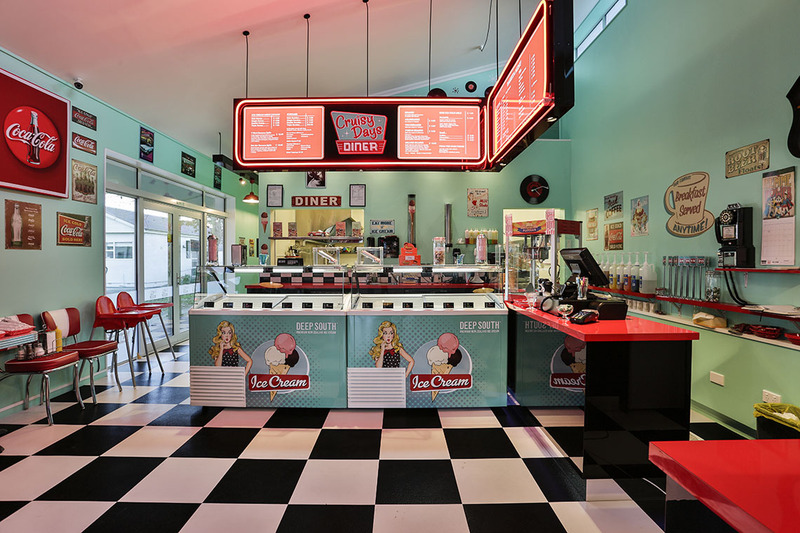 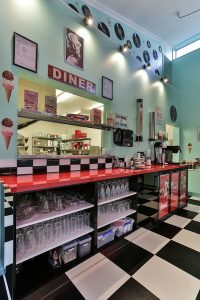 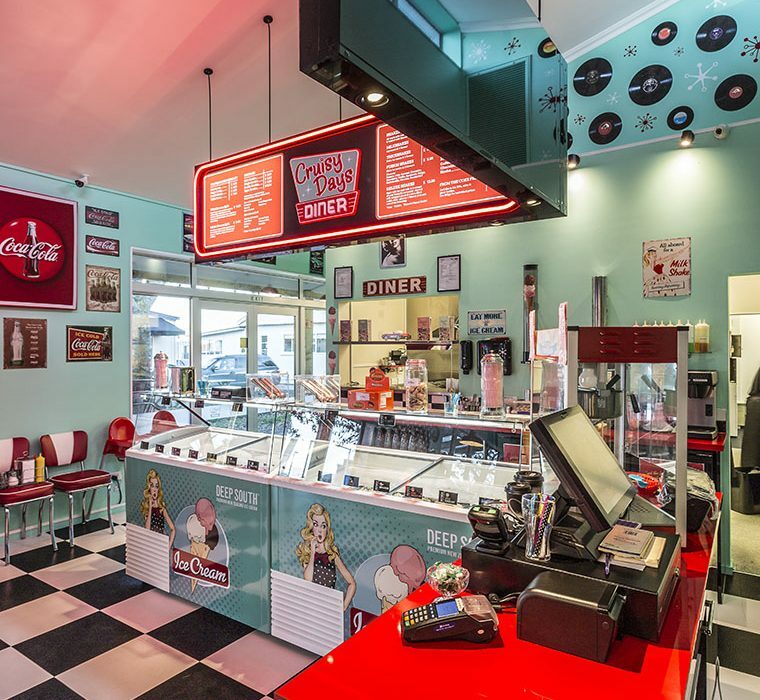 Located in the heart of the sleepy rural township of Oxford, just north of Christchurch, the 1950’s themed Cruisy Days Diner is brainchild of local Kimm Moore, who wanted to create a place in the local community for families to go – somewhere fun to take the whole family out for a meal, or for the kids to hang out after school. 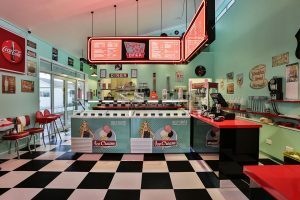 Together with husband Bruce, they set out to bring this dream into reality. 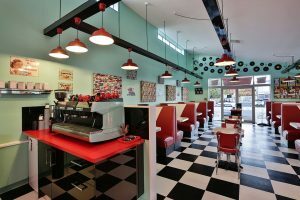 Kimm wanted her new Diner to be the real deal, so authenticity, attention to detail, and a high standard of finish were at the top of her list – so much so that she imported all the furniture from the USA, built to her specifications, from a company called Heffron’s Retro Design, who acted as the agent for Vitro – one of the largest manufacturers of retro 1950’s Diner furniture in the USA. 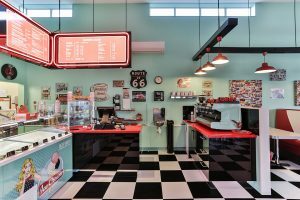 “We even bought a brand new Rock-ola Jukebox from California,” she says. 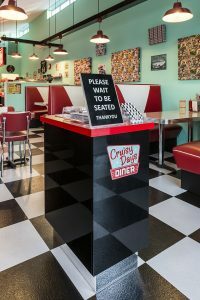 Mastercraft Kitchens North Canterbury supplied Cruisy Days Diner with all its front-of-house cabinetry, including the workstation, built-in sink and shelving behind the ice cream counter, the hard-working barista area, and the tiny Hostess counter where Kimm welcomes in her guests. 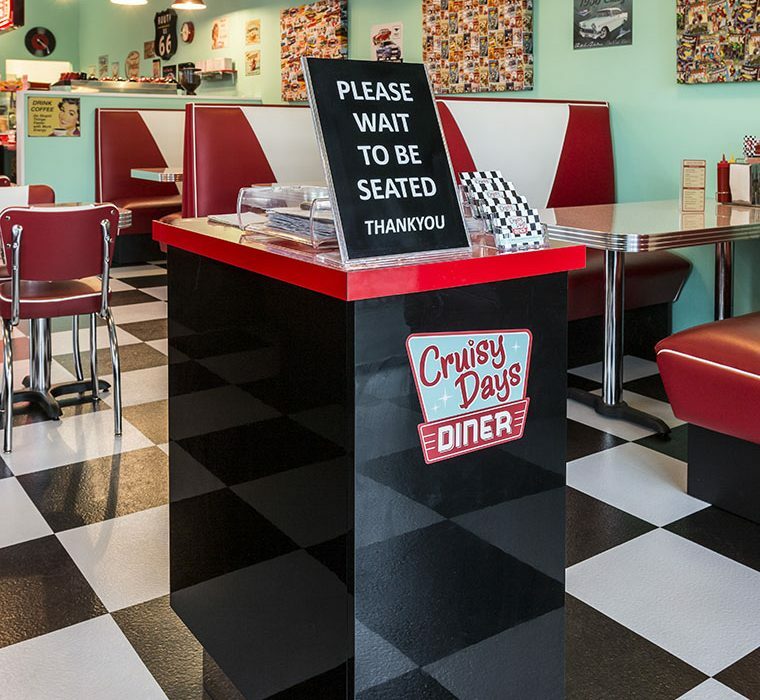 Visit Cruisy Days Diner on Facebook. 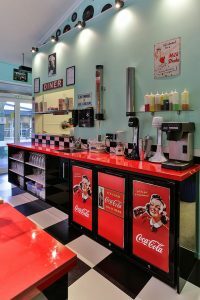 Proudly designed, manufactured and installed locally by Mastercraft Kitchens North Canterbury.